Join our email list to receive news of our latest activities and featured items! 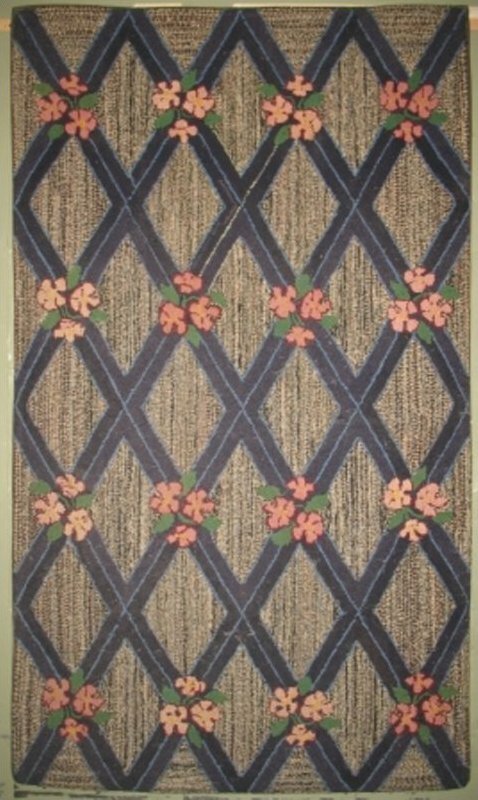 Unusual and pretty pattern featuring a navy blue diamond lattice or trellis pattern joined at the intersections with three rosy flowers. Nice greige-y neutrals variegated field.